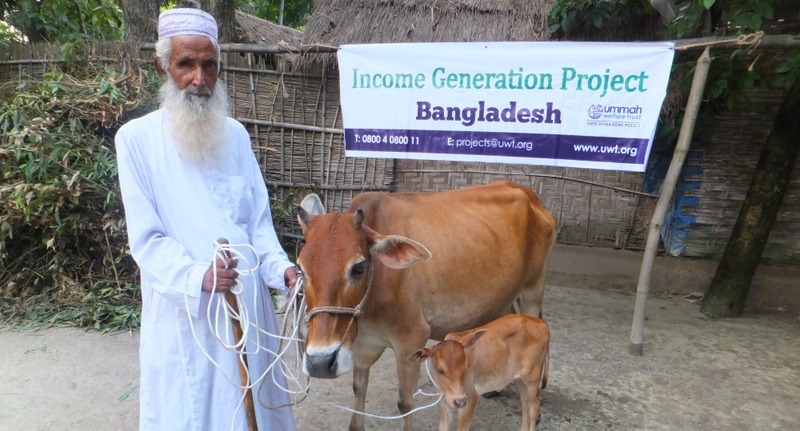 Income generating projects allow autonomy and self-sufficiency. They help families secure much needed income with which to buy necessary food and medicines. Ummah Welfare Trust believes in restoring dignity and self-respect amongst poor Muslims and has striven to provide countless struggling families with a means of generating income. Income Generation schemes are a great source of Sadaqah Jariyah for the donor and lead to innumerable rewards. Many beneficiaries continuously send supplications of forgiveness for those who helped them start again. Since the costs of income generating schemes vary from type to type, there is no fixed amount one can donate for this project. Generally however, anything upwards of £50 can allow for an income start-up for an individual. Ummah Welfare Trust administers new livelihood programmes in Pakistan, Bangladesh and Chechnya. You can give Zakah, Sadaqah and Lillah this project. families in the Philippines given new livelihoods in the past year. widows in Chechnya given new livelihoods in the past year.